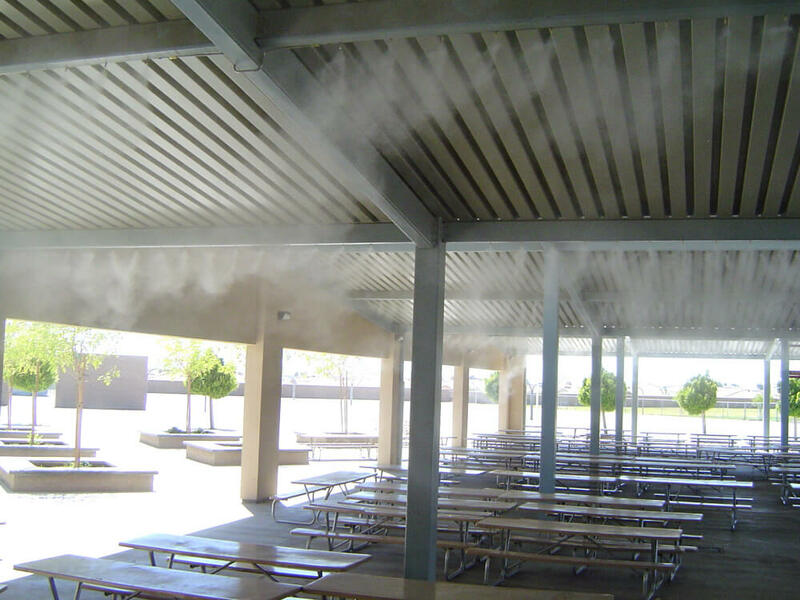 Koolfog misting systems for schools are often used to combat heat stress, a risk that can be exacerbated in young children due to their high energy levels. Allowing children a safe place for exertion can enhance existing educational programs. 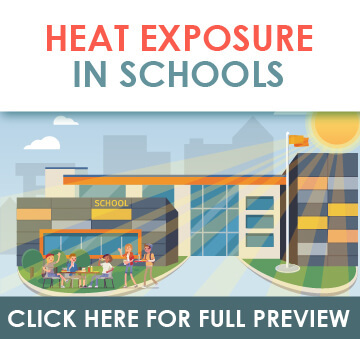 With lunch and activity breaks often outdoors, providing a cool, comfortable location where students can seek relief from the heat is paramount to schools, daycare centers and parents alike. 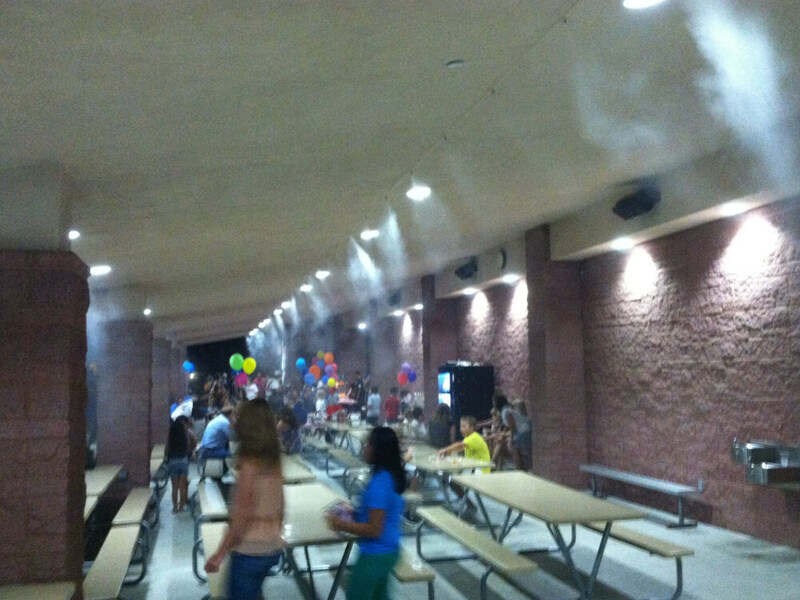 Misting systems for school allow children to safely play outdoors even when temperatures are high. Provide children relief from the heat while allowing them the necessary stimulatory environment to help them grow. 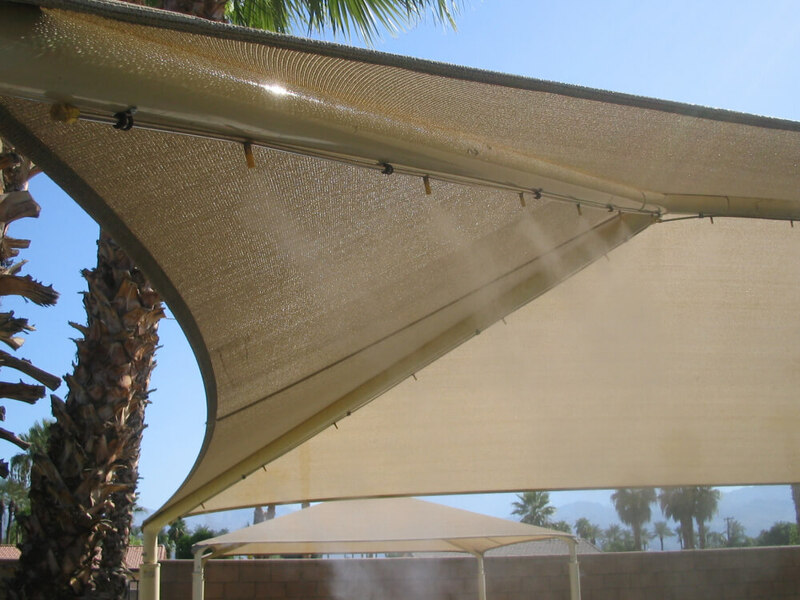 Misting systems for schools utilized in lunch break areas, playgrounds and other seating areas are used in conjunction with shade structures to help provide relief to children during warmer months and prevent heat stress. Outside of the obvious reduction in liability, students are able to rest after periods of activity and are better equipped to return to classroom activities. Students who are allowed regular intervals of play can handle more complex ideas, process them quicker and move on to new material faster. Children thrive when they are allotted times throughout the day when they can expend their natural energy. And as the most recent research in neuroscience confesses, playing for children is not wasted time. Studies have found that children learn better, make more resilient memories, and are able to move on to complex concepts faster if they are provided with opportunities for physical play. Educators everywhere share the passion of creating environments and educational programs that harness this natural drive to learn by coupling it with necessary play and rest periods that are both safe yet stimulating. Children are more sensitive to the dangers of heat stress and exhaustion. Their internal safety mechanisms are not fully formed and they also are not practiced in the art of identifying physiological dangers. Their bodies also have more dramatic reactions to rises in temperatures and pressures. 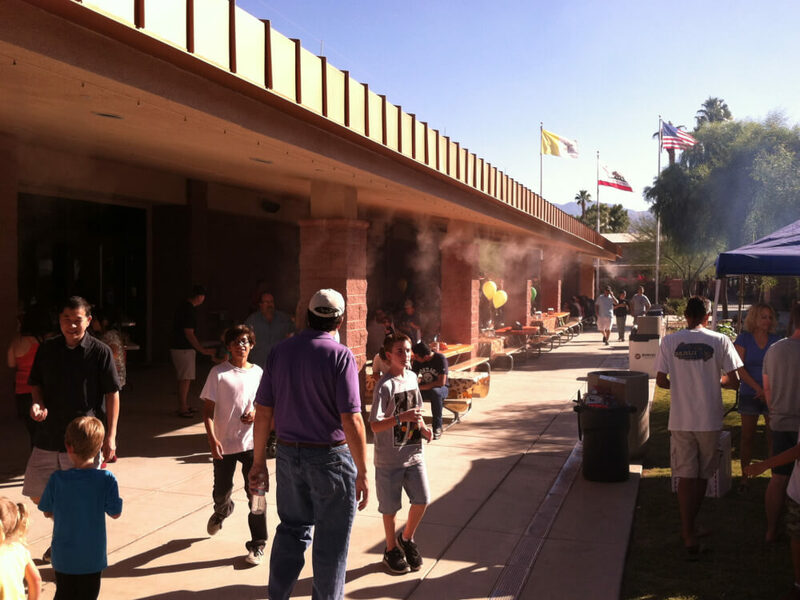 Adding misting systems to their lunch areas for a cooled break or misting to playground areas for safer play in the hot months provides a climatically controlled environment for them to thrive in. Our children truly are our future. As neuroscience has become more sophisticated, we’ve been able to peer into their cognitive processes and found ways in which to harness their natural drive to learn and play. As their educators, protectors and general advocates, creating a safe but stimulating environment for them to thrive, learn and grow in is paramount to their future success. 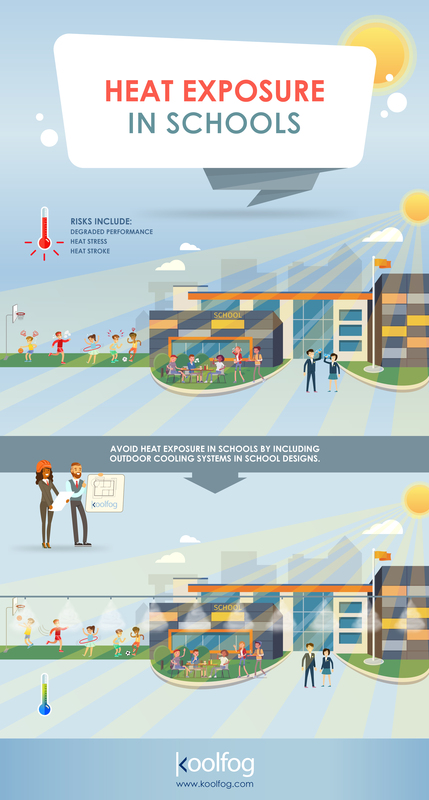 Creative outdoor cooling measures that utilize misting fans, misting poles or misting systems for schools that allow them to connect with nature, play safely and rest securely offers a world where they can become our next generation of incredible leaders.